The 17th book I’ve finished for the 2010 Global Reading Challenge completes the Australasian leg of my virtual tour, taking place on the island of New Guinea. When Stella Warwick hears that her husband David, an anthropologist working on New Guinea to protect the indigenous people from exploitation while she cares for her invalid father in Australia, has committed suicide she is disbelieving and travels there to find out the truth. She has been told that he committed suicide due to worry over his mounting debts soon after returning from a trip deep into the jungle but Stella wants to know more and keeps asking questions of her husband’s former colleagues, the people who travelled with him and the boys who do menial work for the Australians. In the end she believes the only way to find the answers will be to recreate his final journey into the jungle. Beat Not The Bones has an excellent sense of its setting both in terms of its physical geography – the heat, humidity, isolation and wild jungle are depicted so well I swear I started to feel sweaty despite reading the book on cold winter days – and its social status as a colonial outpost of Australian government and business interests. As cringe-making as it might be now the reality is that in the 1950’s behaviour towards the country and its people by Australian interests was undoubtedly as patronising as is described in the book. Even the people who are portrayed as enlightened treat the Papuans as little more than ‘the white man’s burden’. Sometimes when I read historical fiction that takes place in times or places where sensibilities are very different from current ones I get the sense that things are altered just a little (even unintentionally) to fit in more comfortably with modern ideas, usually by the insertion of at least one incredibly forward-thinking individual and/or the careful omission of the least palatable facts. For better or worse this contemporary story has none of that ‘glossing over the nasty bits’ feel. The characters were a less successful aspect of the book for me. Stella for example is a woman so sheltered from life and so utterly dependent upon men (her father, husband and random strangers as long as they are men) that she is barely functional as an independent human being. Perhaps she is a realistic depiction of a woman of her time (though my mother, being roughly the same age, would vehemently disagree) but regardless of that I found it very difficult to care what happened to her. Even when she started developing a smidgen of independent thought towards the end I found I’d lost interest in what happened to her. Although they too were probably credible portrayals none of the other characters generated much in the way of my empathy, with the possible exception of Stella’s travelling companion in the jungle who does seem to suffer from the consequences of his own prior actions and a heat-induced madness (I’m more sympathetic to the latter). While I found the overall story mildly interesting I must say I wasn’t completely gripped I put the book down for several days a couple of times and was never drawn back to it in any hurry. The main reason for this was the almost gothic, certainly melodramatic, style of writing that did have me rolling my eyes a few times. The ending though was remarkably strong and tackled the thorny issue of there being consequences for the evil that one does during one’s life. Overall I’d recommend the book, especially if you enjoy visiting your tropical locations virtually rather than in person or could do with being reminded that no matter how screwy our current world is we have made some fairly amazing social advances in 60 years. 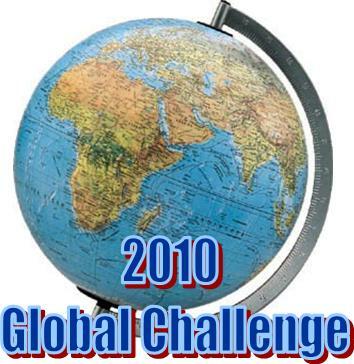 This entry was posted in book review, Charlotte Jay, Global Reading Challenge 2010, New Guinea. Bookmark the permalink. This book sounds interesting in terms of reading about the setting, especially the way it’s described here, although I’m not sure I want to sweat while reading a book, and about the period of time, but I think the condescending treatment of the Papuans would turn me off. Generally, I don’t like to read novels set during colonialist times as your exact point is what turns me off. And gothic style? Not so much. But this is a thorough review and makes one ponder about reading it to learn something. I got onto this book because it was mentioned in a quiz on the ‘Fair Dinkum Crime’ site as the first ‘Edgar’ winner. I’ve read about 50 pages. I thought the first chapter was slow and the characters stereotyped and ordinarily I wouldn’t have read further. But after the jump in the narrative I thought it became more interesting. Certainly a weird bunch of dysfunctional characters. I find the writing quite original though – certainly a departure from the standard mystery/thriller formulas. The reviews tend to agree that the ending is unexpected and satisfying – the hardest part to get right in any mystery, in my view, so I look forward to reading on. Thanks again for the pointer. I agree with virtually everything you have said about this book, but nevertheless I’ve come away feeling that it’s one of the best novels I’ve ever read, and probably the best mystery I’ve ever read. Normally I don’t like comparing authors with other authors, or reading into books meanings that weren’t made explicit by the writer. However in this case I find it very hard to ignore the parallels with Joseph Conrad’s ‘Heart of Darkness’. Kurtz in the latter and David Warwick in the former are idealists who are undone by the alien culture and environment they venture into. David’s (purported) final words ‘Murder, Murder’ echo Kurtz’s final words ‘The horror! The horror!’. In Conrad’s novel the narrator, Marlow, when asked by Kuttz’ fiancee what Kurtz’ last words were, lies to her and says that Kurtz spoke her name. It is almost as though Geraldine Halls (Charlotte Jay’s real name) asked herself how the story would have played out if the fiancee had decided to go herself and find out the truth behind Kurtz and his death. Certainly Stella’s dogged pursuit of the truth, regardless of the consequences, and the way she accepts the truth when she finally finds it, are what motivate the plot in this book. It’s certainly not something to be read as light entertainment. I think its faults as a thriller – the fact that it drags, particularly in the first half, and the fact that none of the characters is engaging, including the heroine – are consequences of the need to maintain integrity in the theme and plot. The chief villain, who engineers the crime without ever becoming more than indirectly involved, is one of the most chilling portrayals I have come across in fiction. I’m so glad you had such a strong reaction Cliff – it’s always wonderful when that happens. I must admit that when I read the book I didn’t think I was being entirely fair to its literary traditions or its context, I have a tendency to do that when I can’t relate to the characters in any way which I know is not fair.